Narayan Shridhar Bendre was born in 1910 in Indore. In 1933 Bendre received his degree in B.A. from Holkar College in Agra University and received his Government Diploma in Art, Mumbai. In 1934 he received his Diploma in Painting from State school of Art in Indore. In 1947 - 1948 Bendre was sponsored for a Study Tour of USA by Federation American Artists, Philadelphia. In 1948 he completed Graphic Art Degree from Art Student’s League, New York. In 1943, 1959, 1963, 1968, 1970, 1972, 1974, 1976, 1977, 1980, 1981 and in 1983 Bendre had several solo exhibitions in Mumbai. In 1945 he had a solo exhibition at Prince of Wales Museum, Mumbai. In 1947 - 1948 he has a solo ‘Travelling Exhibition’ at Windermere Gallery, New York. In 1960 he exhibited ‘Abstract Works’ at Baroda. In 1968, 1970, 1972, 1974, 1976 he exhibited solo in New York. In 1969 he had a solo travelling exhibition in Yugoslavia, Czechoslovakia and in Poland. 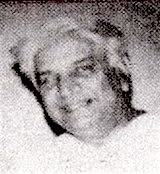 In 1974 Lalit Kala Akademi in New Delhi conferred Bendre with a fellowship. In 1974 he had ‘A Retrospective’ at Jehangir Art Gallery, Mumbai. In 1979 and 1985 he had solo exhibition at Taj Art Gallery, Mumbai. From 1934 - 1939, 1941, 1944 and 1958 he participated in the Annual Exhibitions of Bombay Art Society at Jehangir Art Gallery, Mumbai. In 1934 and 1935 Bendre won Silver medal from Bombay Art Society at Jehangir Art Gallery, Mumbai. In 1936 he won the Governor’s Prize from Bombay Art Society at Jehangir Art Gallery, Mumbai. In 1941 he was awarded gold medal from Bombay Art Society at Jehangir Art Gallery, Mumbai. In 1943 and 1945 he won trophies from Art Society of India at Jehangir Art Gallery, Mumbai. In 1955 he won the National Award from Lalit Kala Akademi, New Delhi. From 1959 - 1966 and in 1971 he was the chairman of International Jury at IInd Triennale, New Delhi. In 1963 he was a member of Indian Delegation in Japan. In 1969 he was awarded Padmashree by Government of India, New Delhi. In 1982 and 1984 he received Gagan Abani Award from Viswa Bharati University at Santiniketan, Kolkata. He was awarded D.LItt. by Indira Kala Sangeet University, Madhya Pradesh. In 1984 he was honoured with Kalidas Sanman by the Government of Madhya Pradesh. In 1992 he was awarded the Padma Bhushan by Government of India, New Delhi. Bendre passed away in 1992 in Mumbai. In 1992 he was exhibited in Delhi and Jammu. In 2002 he was exhibited at Jehangir Art Gallery, Mumbai. In 2008 he was exhibited in Baroda and New Delhi. In 2008 he was exhibited at Amman, Jordan. In 2009 he was exhibited at Emily Lowe Gallery, Hempstead. In 2010 he was exhibited in Mumbai and New Delhi. In 2011 he was showcased in Singapore. In 2012 - 2013 he was exhibited at Rubin Museum of Art, New York.